Over the holidays I did a long-awaited overhaul of my office—cleaning, sorting, filing and painting. Unfortunately, I only got as far as painting the ceiling because I can’t decide on a color for the walls. Indecision, of course, prompts perusing. And perusing, of course, furthers my indecision. My current obsession is Houzz.com. There are a gazillion professional quality photos with provided code for embedding them into your own blog. How’s that for sharing? My husband is the handiest guy and builds whatever my heart desires (no, I never take advantage of this). 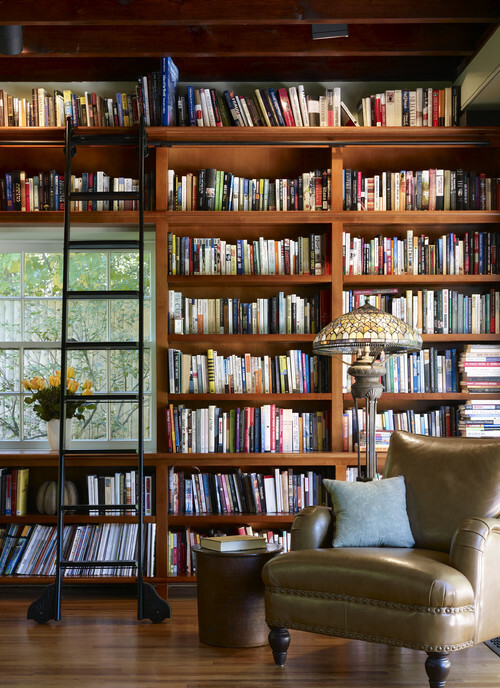 He built floor-to-ceiling cabinets and bookcases very similar to these for my office. I’m thinking a rolling ladder sure would be sweet. 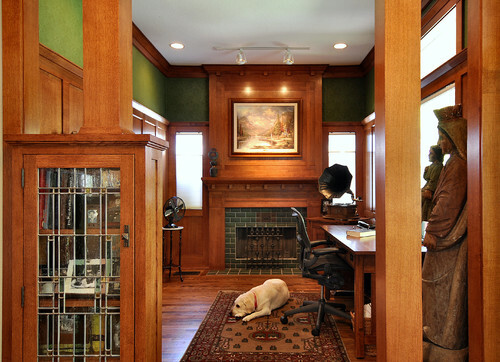 The woodwork in my office is in it’s 96-year-old original shellacked finish—meaning it’s a rather orange-brown color. Yes, it limits my options for wall color, but I’d never dream of painting it. …or this one, although it does look rather groovy. I love, love, love these doors on a track. 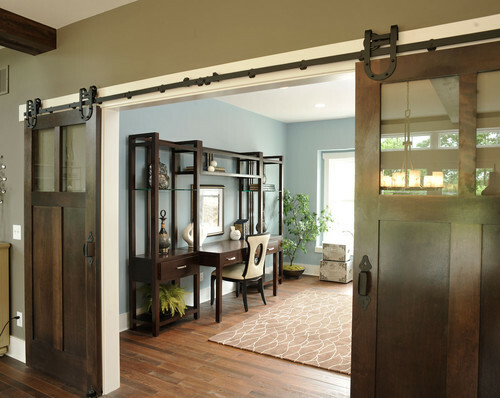 They’re described as barn doors but they sure don’t look like any of the doors on my barn! So which office is your favorite?